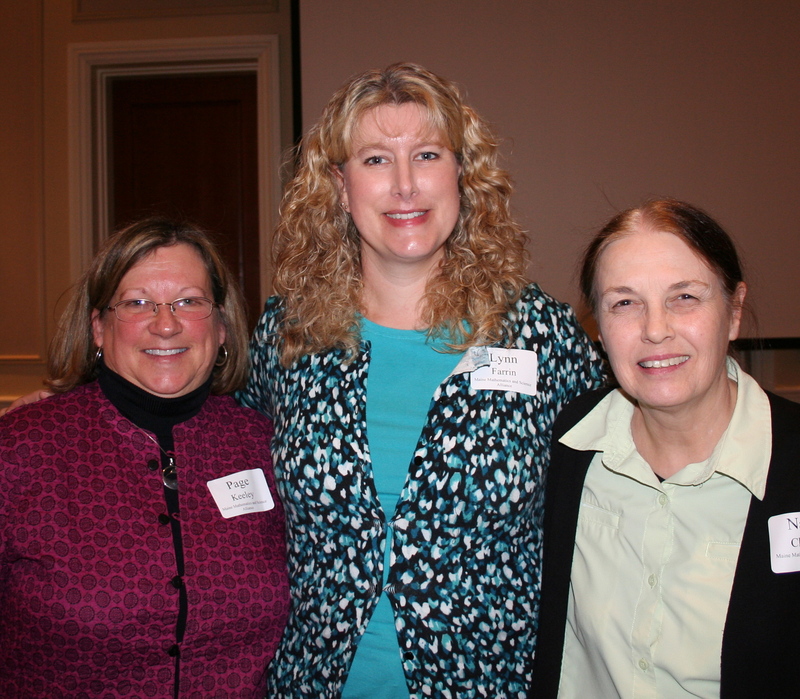 On December 16, 2011 the Maine Mathematics and Science Alliance brought over fifty educators together to talk, write, and learn about using notebooks to support the teaching and learning of engineering practices. 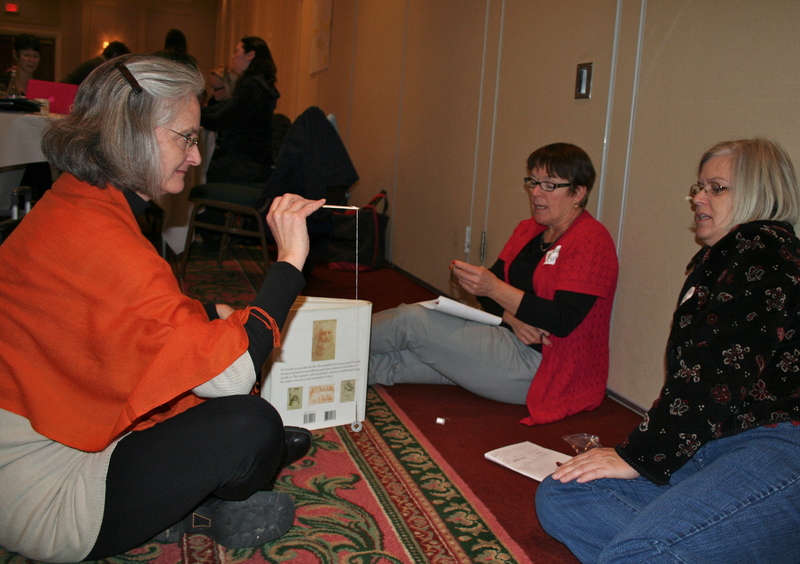 Page Keeley, Lynne Farrin, and Nancy Chesley led participants through a series of activities and discussions to think about the similarities (and some differences) between science and engineering practices. 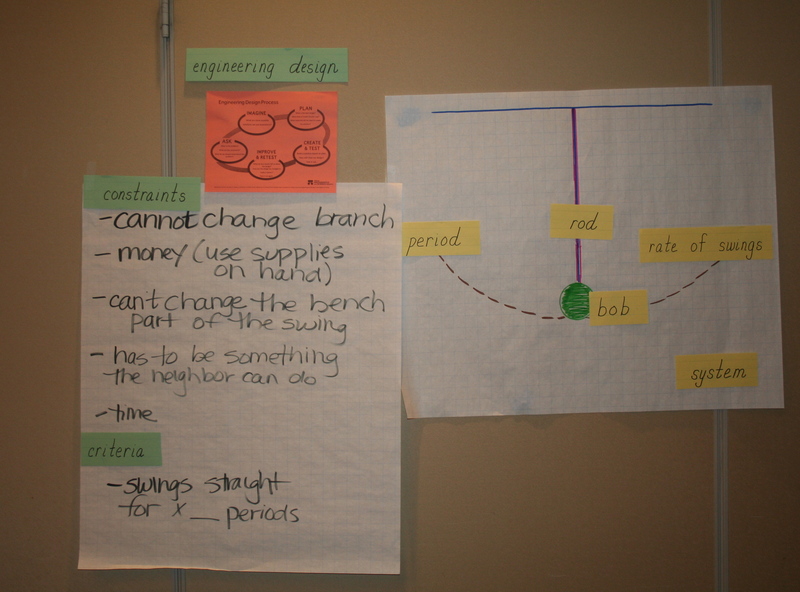 Participants also discussed strategies to support engineering in the elementary classrooms through the use of notebooks. The synergy was perfect! Notebooks capture the journey of discussion. Page, Lynne, and Nancy engaged participants in discussions about science and the application of science knowledge to solve design problems.As a first step participants recorded their questions, data, and conclusions about the factors that influence the number of swings a pendulum can make in 30 seconds. The purpose here was to identify the science knowledge related to the motion of the pendulum. 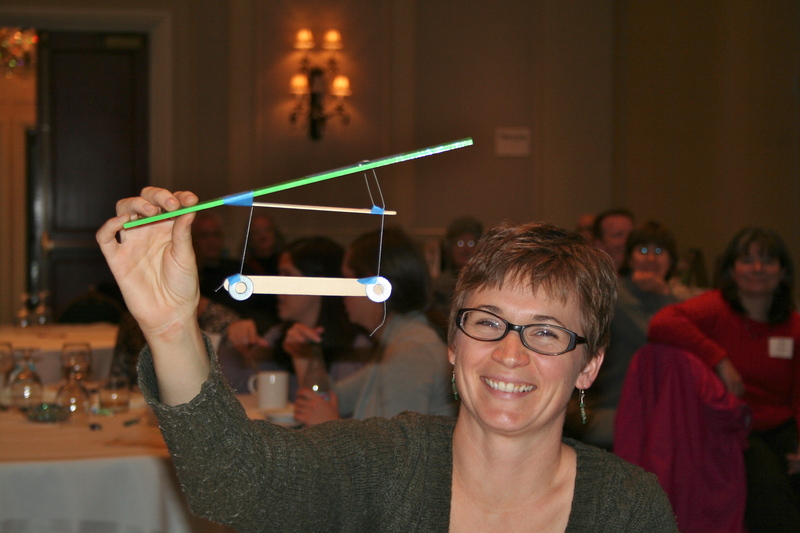 Later, participants applied that knowledge to design a solution to an engineering problem that involved pendulums – “the crooked swing problem”. Workshop participants collecting pendulum data. The discussions among participants and the creation of notebook entries enhanced their understanding about the motion of pendulums and influenced their solutions to the crooked swing problem. Workshop participant with design solution for the “crooked swing” problem. MMSA modeled the use of notebooks appropriate for elementary classrooms and engineering practices found in the Framework. Young children are NATURAL scientists and engineers (Ready, Set, Science! ; Taking Science To School). Teachers can (and literature suggests should) capitalize on the natural curiosity and engagement of their students in science and engineering. Is there a benefit for students to engage in an engineering design project that has little or no connection to science content? Are the Maine Learning Results “Skills and Traits of Technological Design” the same thing as the Engineering Practices in the Framework? What components should I include in notebooks and should I have students keep separate science and engineering notebooks? What is some of the engineering vocabulary that my students will need to know and what are the strategies to help them learn the words and their meaning? Try one paired science and engineering design activity this year. This is an exciting time. Stay in the conversation so that you can be a part of engineering our path to science and engineering literacy.